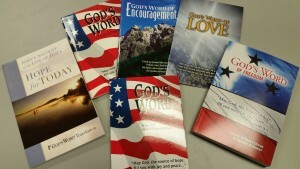 Several years ago I was introduced to God's Word to the Nations, www.godsword.org . 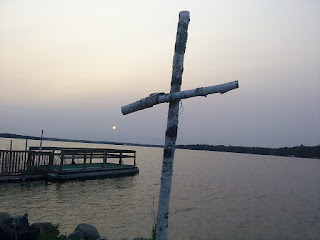 The resources that this group produces are designed to be used to share Jesus with people in simple, easy to read, and relative formats that connect with people where they are at today. My personal favorite is God's Word of Encouragement. This 32 page booklet addresses issues that most people have had to deal with at some point in their life. The booklet also addresses God's Love & Faithfulness, Forgiveness, Salvation, Real Peace, Real Hope, and Real Joy. The booklets are very inexpensive and are easy to carry in your pocket to be shared with others in their moment of need.